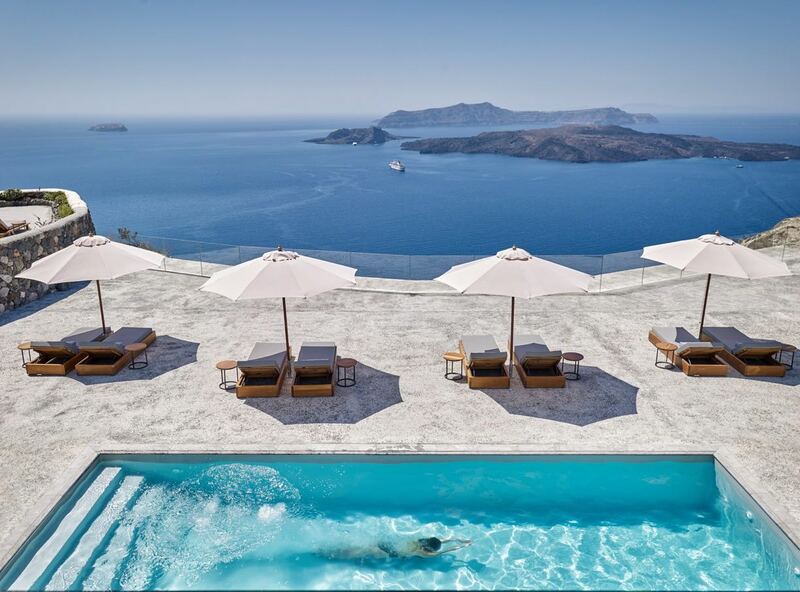 Hidden away in the megalohori caldera, Nafsika Estate combines absolute privacy, spectacular views and enchanting ambiance to become the most luxurious and relaxing retreat of Santorini. 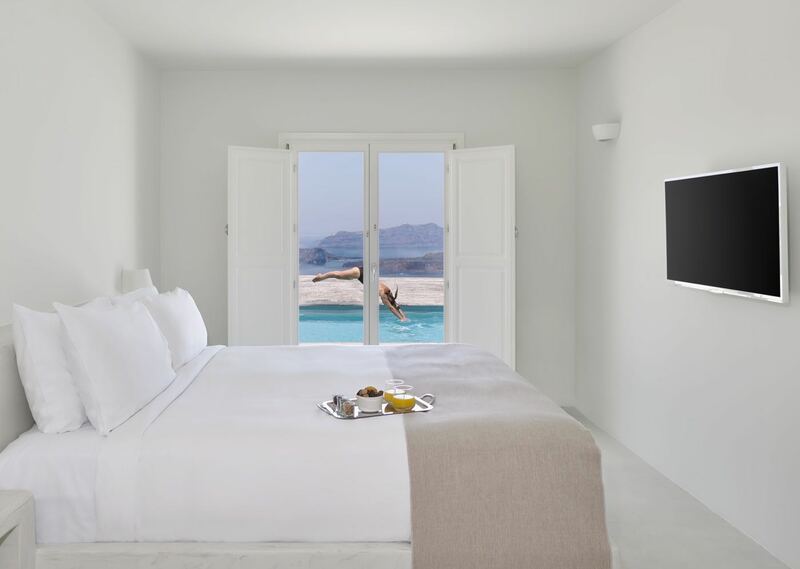 Combining Cycladic architecture with modern design, Nafsika Estate is a wonderful architectural gem of minimal style in a quiet area of Santorini's Caldera, surrounded by nothing but the wild beauty of the island's nature. 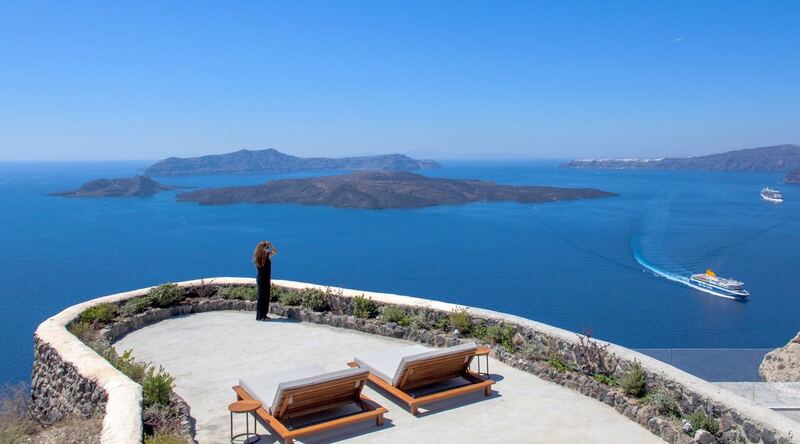 The Estate's minimal design, the privacy and clamness of this secluded area, the sea's peaceful sounds and the mesmerizing volcano views complete the Estate's tranquil ambiance and character. A 350 sq.m. 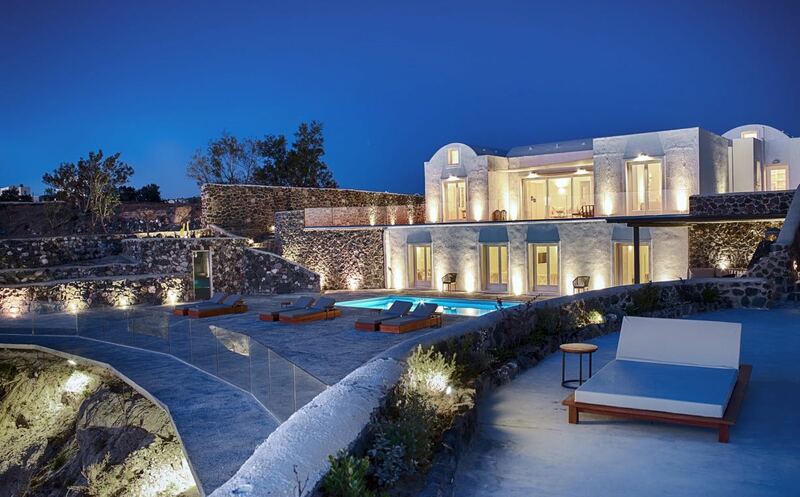 majestic estate with 5 bedrooms distributed between 2 levels, connected by both indoor and outdoor stairs. The Estate sleeps up to 10 people and is fully serviced by Vedema, a Luxury Collection Resort, providing housekeeping service twice daily, private butler and Executive Chef. Main living and dining areas are located on the upper floor, with large windows facing the pool and the breathtaking views. A kitchen for guests' use is available with all necessary appliances and provisions for preparing light snacks, coffee, juices and more. A second living area is located on ground level. The spacious master bedroom is located on the upper level featuring an en-suite bathroom, a study area, walking wardrobe and large windows overlooking the Caldera. Three more double bedrooms and one twin bedroom are on ground level, also with en-suite bathrooms and windows facing the pool and the expansive garden space towards the Caldera and the volcano. Ample outdoor space featuring a large pool for lively swims or utmost relaxation on the sun- loungers by the pool. Outdoor barbecue facilities are available for sumptuous meat or fish barbecues, prepared by the estate's executive chef. 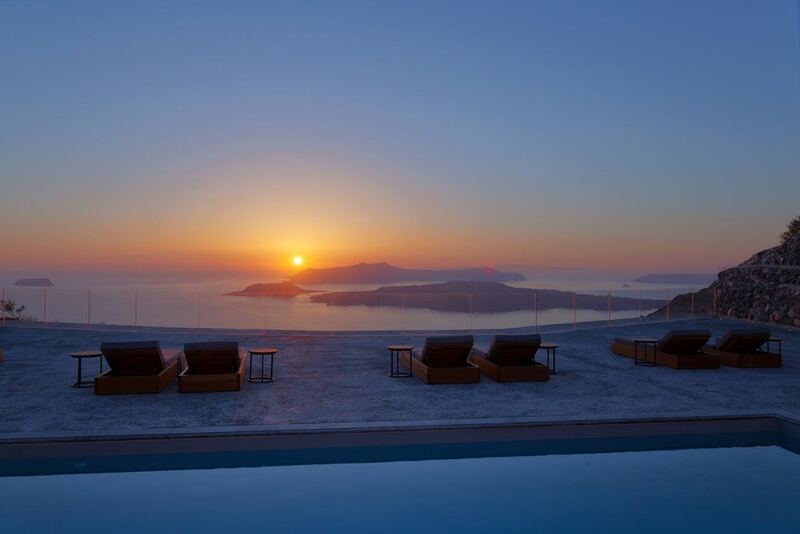 Depending on the occasion and the guests' desires, the outdoor space can be used for romantic dinners, family gatherings, parties with friends or even wedding ceremonies and receptions, overlooking the Aegean sea. 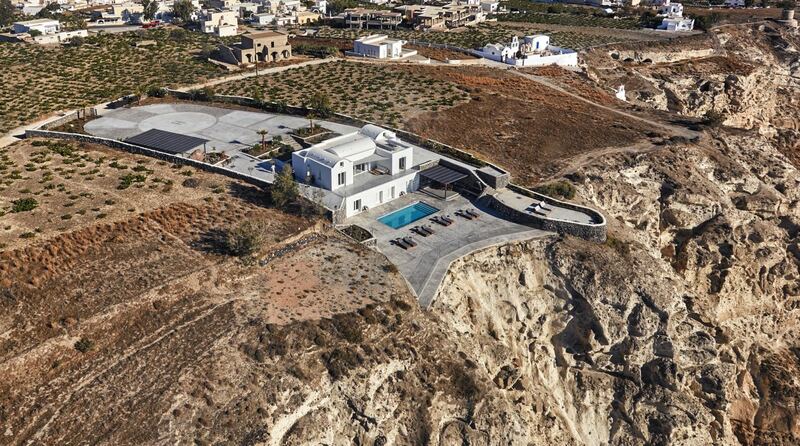 Nafsika Estate provides all luxury amenities and services of a 5-star resort. Meals can be tailored to guests' individual preferences and prepared by the Estate's Executive Chef at the fully- equipped main kitchen.